Mumbai-based entrepreneur and founder of SutraHR, Waqar Azmi, recently launched ‘MumbaiCoworking’ in Andheri West, Mumbai. This marks the formal start of SutraHR in the business of coworking in India. ‘MumbaiCoworking’ has currently established 60 work seats in the office. The company also announced that it would be expanding its business very soon. It’s a known fact that finding a cheap place to rent out an office or a house in Mumbai is not easy, especially for budding startups. Imagine, operating from coffee shops or cafes in the city, which itself would not be an affordable affair. This has apparently increased the demand for coworking spaces in the city. Waqar Azmi understood this need, as he himself runs a startup called SutraHR. The company majorly targets startups, SMEs, freelancers, independent consultants, etc. ‘MumbaiCoworking’ is location friendly, based in Andheri, in the heart of Western suburbs. It is just 2 minutes away from the nearest bus stop, 10 minutes from DN Nagar metro station and 12 minutes from the nearest railway station. The company aims to establish its presence as a leading provider of shared office spaces in Mumbai. Waqar Azmi, owner of MumbaiCoworking said, “SutraHR started out of a garage like office with limited office amenities. We ended up spending more than usual for setting up meetings in cafes, low quality internet service and running around for menial things. We therefore will offer every basic thing that is needed for our coworkers. All they need is to just step in a quirky office and we will take care of the rest”. 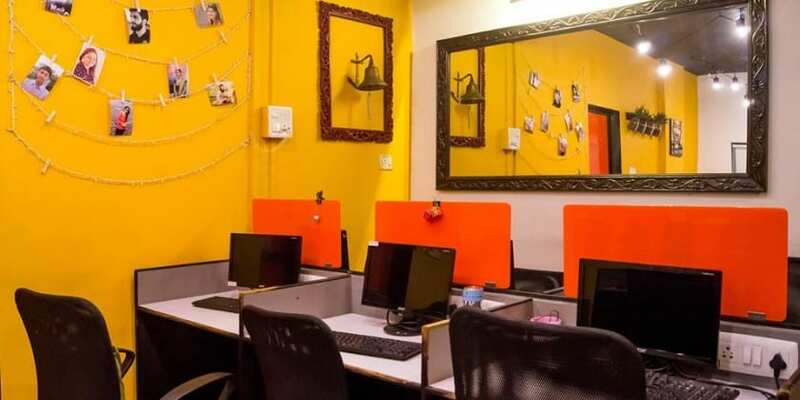 ‘MumbaiCoworking’ offers its clients daily cleaning services, high-speed internet, unlimited access to snacks and beverages, a quirky and colourful office, and other amenities. The rental cost ranges from Rs. 500 a day to 7,000 a month. Their budget friendly prices start as low as Rs. 5,000 for a floating seat and go up to Rs. 7,000 for a fixed seat inclusive of access to meeting rooms. Members can also avail discounts when they book bulk seats or take up the entire 8-seater, 14-seater, or 16-seater rooms. ‘MumbaiCoworking’ also offers meeting/conference rooms separately on a half and full day basis for Rs. 3,500 and Rs. 5,000 respectively. You can also get a daily pass at just Rs. 500. ‘MumbaiCoworking’ is also well suited for the digital nomads or travelers who are in the city for business meetings or people from other cities who are in the initial stage of setting up an office in Mumbai. SutraHR launches MumbaiCoworking in Mumbai 0 out of 5 based on 0 ratings. 0 user reviews.